We are Pho2u! 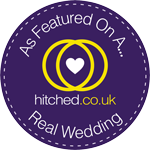 – The Award Winning Wedding Photographer in Bedfordshire – who aims to offer everyone a professional yet affordable wedding, portrait and event photography service. Your photography experience should be fun, this is when you’re most relaxed… Having your picture taken can be a daunting experience, you want someone who is both professional and yet can help you feel relaxed. Pho2u! are known for their fun and non-intrusive approach to photography, ensuring your photographic experience was like spending an afternoon with friends rather than under the spotlight of a photographer who is intent on capturing staged shots. So whether you need a photographer for your wedding, event or a photo shoot you need look no further than here. Whilst studio shoots are great fun and we have access to a studio in Milton Keynes, getting out and about and exploring the beautiful countryside in Bedfordshire, Buckinghamshire and Hertfordshire help capture the natural characters of those being shot! So, what are you waiting for? Have a look around our website! Love is love. Equality for all. Everyone is welcome. So, I don’t usually blog about one particular wedding but this one was a big deal to me – it was to be in St James’s Palace, London!